An elephant called Nosey is one of the saddest elephants in America. Taken from her mother in the wild at just 2 years old, Nosey has been used by people for profit ever since. Since being shipped from Africa to the U.S. in the early 1980s, Nosey's spent most of her life performing in circuses, despite suffering from degenerative joint disease and other painful ailments. Her owner, Hugo Tommy Liebel of the Liebel Family Circus (which has racked up many animal welfare violations over the years), still forces Nosey to perform, renting her out when she's not performing in his shows. While the remaining 11 touring elephants of Ringling Bros. and Barnum & Bailey Circus have just performed their last show ever, there's still work to be done to help entertaining elephants like Nosey get the lives they deserve. 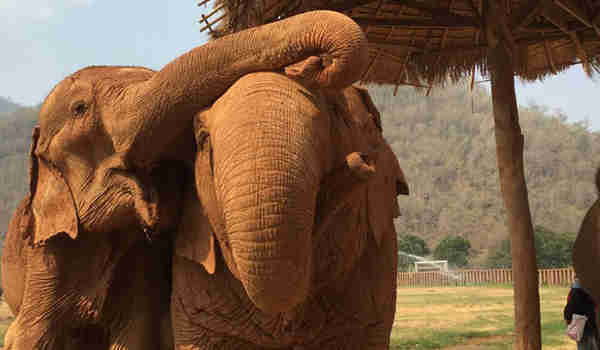 Here are some things you can do right now to help elephants who aren't lucky enough to retire. Tell everyone Nosey should live in a sanctuary. Even though The Elephant Sanctuary in Tennessee offered to take Nosey, Liebel has refused to give up the elephant he bought in 1988. 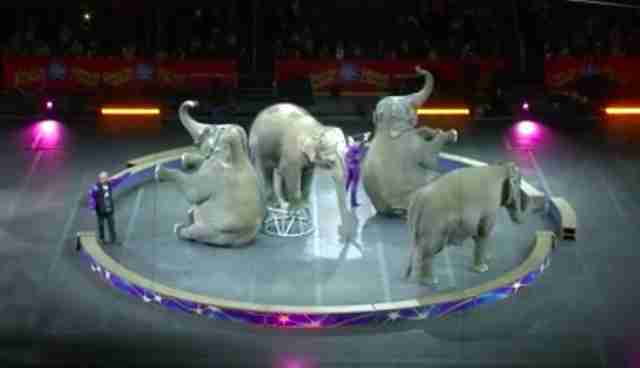 And the USDA (which regulates captive animals like Nosey) has failed over and over to rescue the exhausted elephant. Earlier this year, the USDA renewed (yet again) Liebel's license for owning Nosey. Learn more about Nosey's plight here. Pledge to never buy a ticket to an elephant show. Nosey isn't the only elephant still performing. Anna Louise, now known as "America's Dancing Elephant," was taken from her family in Zimbabwe in the early 1980s as a baby. She was then brought to the U.S. to be trained. After being moved from one zoo to another, the now 35-year-old elephant was purchased by Carson and Barnes and leased to the Kelly Miller Circus. Carson and Barnes and the Kelly Miller Circus are just a few of a slew of circuses determined to keep captive elephants, even after Ringling's announcement - and this is bad news for elephants like Anna Louise. Anna Louise's plight goes to show that there are more elephant shows out there than the ones at Ringling Bros. Carson and Barnes, the Kelly Miller Circus and Universoul Circus all use performing elephants in their shows. Since each tours the country widely every year, an elephant in need is probably closer than you think. Pledge to never buy a ticket to a show that uses elephants for entertainment. Know what the bullhook is - and why it should be banned. Nosey and Anna Louise have been hit countless times with an instrument called a "bullhook," a sharp instrument that trainers sometimes benignly call a "guide" and that is used to strike elephants to get them to behave. Bullhooks have been banned recently by many major cities, such as Austin and Los Angeles, that don't want circuses who resort to such cruelty in their city limits. Even if other circuses are slow to retire their elephants, banning bullhooks sends a clear message that people want captive elephants to be treated better. And until they are, these shows just aren't welcome. Sign a petition urging the USDA to ban the use of bullhooks in circuses and zoos across the country. Never ride an elephant overseas. It might seem like elephants overseas have it better than Nosey and Anna Louise, but it's important to keep a skeptical eye on tourist attractions using elephants. 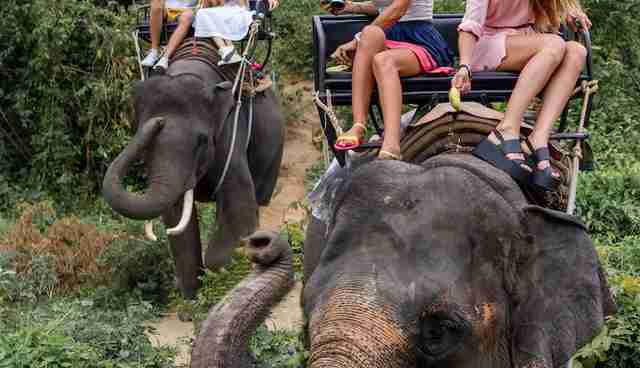 The sad truth is that often these elephants giving rides through exotic destinations like Thailand and India are subjected to the same cruel training practices as circus elephants. Elephants used to provide rides have likely been abused from a young age to deliberately break their spirits. Pledge to never ride an elephant. 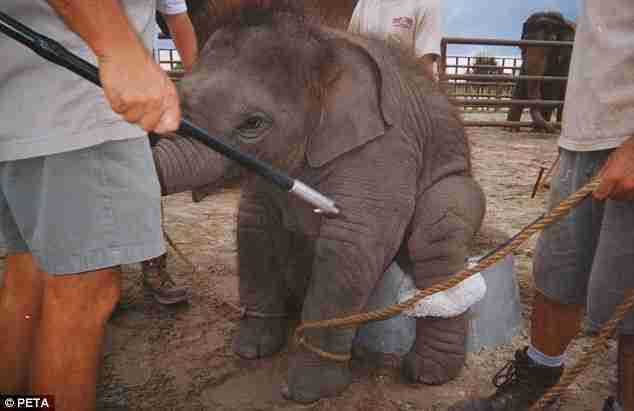 And add your name to a petition calling for a stop to cruel training practices for elephants used for rides. Tell your family and friends why elephants deserve better than the circus. People who still go to elephant shows just might not realize the pain behind the performance. They also might not know about the strong bonds elephants form with their friends and families in the wild or the threats to their survival on Earth. The most powerful thing you can do to help elephants in circuses is to decrease the demand for these shows - starting with informing your friends and family. If you need help finding the right words, Born Free USA gives a good point-by-point list of why, exactly, the circus just isn't cool.